The sudden refresh of North Korea’s staid state TV evening news appears be thanks to help from China’s state TV broadcaster. 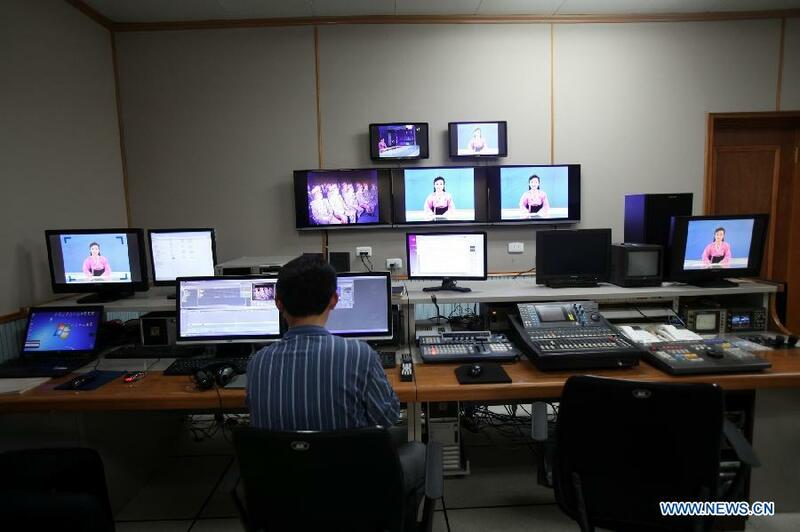 China Central Television, the government-run broadcaster of China, donated 5 million yuan (about US$800,000) of equipment to North Korea’s Korea Central Television to help improve its news broadcasts, according to a Chinese news report. There are very few details of the deal except for a single Chinese-language report and a piece from the Korea Central News Agency. 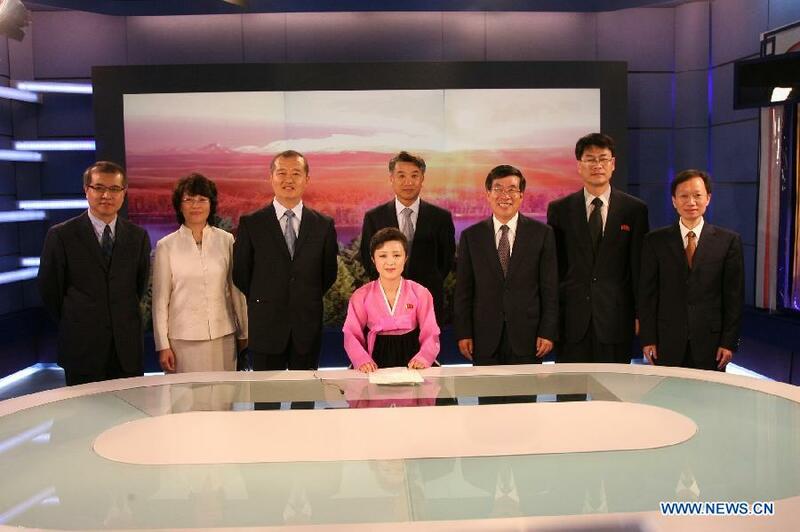 Pyongyang, September 26 (KCNA) — The Chinese Central TV donated equipment to the Central Broadcasting Committee of Korea. A donating ceremony took place here on Tuesday. 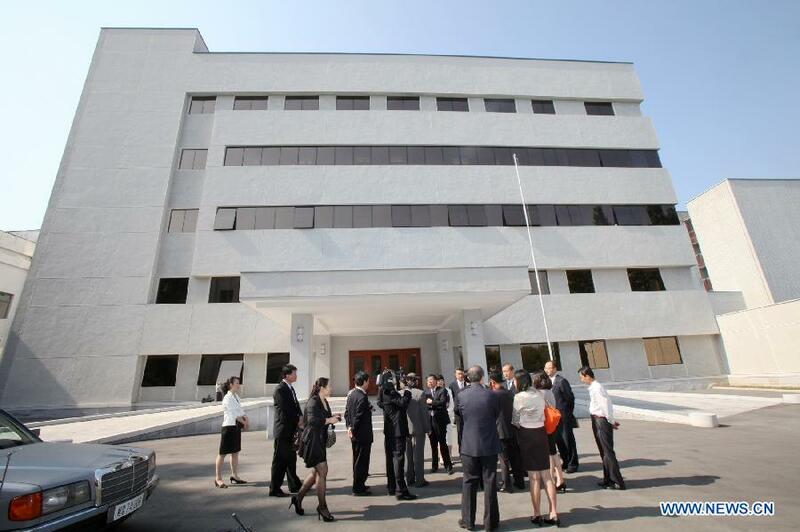 Present there were Ri Chol, fire vice-chairman of the Central Broadcasting Committee of Korea, officials concerned, a delegation of the Chinese State Administration of Radio, Film and Television led by Vice-Minister Li Wei, Chinese Ambassador to the DPRK Liu Hongcai and embassy officials. The participants looked round the donated equipment. 9?25?????????????????????????????1963?3?3??????????????????????????????????? ???????? — Xinhua News Agency, Sept. 26, 2012. Which loosely translated says the donation has taken North Korean TV into the digital age and helped it improve programming. 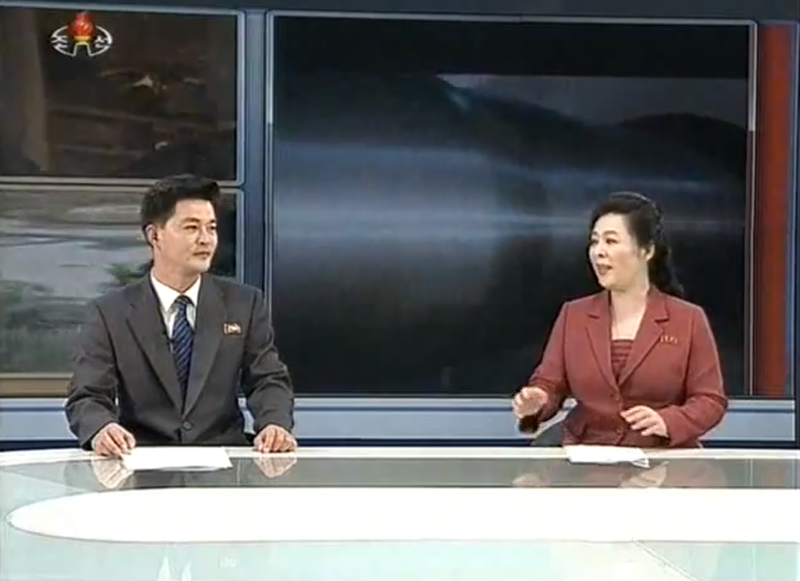 The ceremony in Pyongyang came less than two weeks after KCTV’s evening news underwent a make-over that included a new news desk, new backdrop, better graphics and a more modern look. A further innovation — two news anchors sitting at the desk with a computerized background — just appeared making the news broadcasts look even more like those from the rest of the world. Before the changes, the news bulletins were very much of the presentation style seen in the 1970s in many countries. While the Chinese report was brief, Xinhua did run four photos that provide a rare glimpse behind the scenes at North Korean TV and show what is presumably the new equipment. 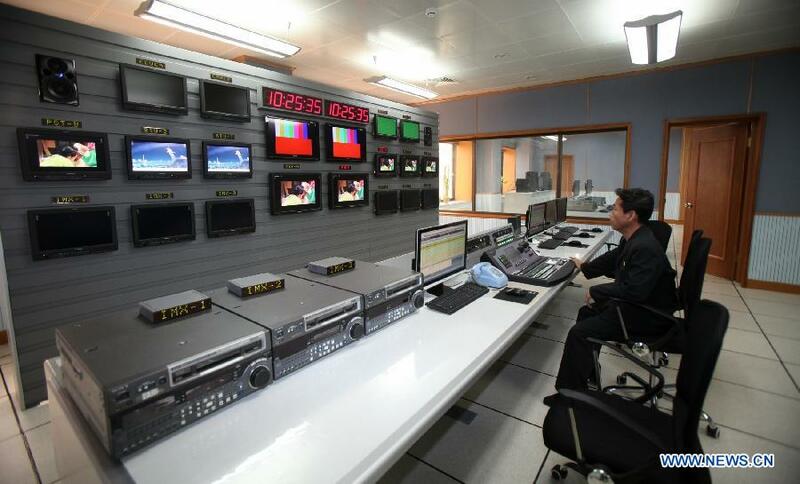 Visible in the picture of the control room are three Sony MPEG IMX video players, each worth about US$40,000. There’s a lot of other expensive broadcasting gear, some of it also bearing the Sony badge (Sony is the biggest manufacturer of broadcasting gear and is popular worldwide). It’s a massive change from the news operation of old, which was disclosed when China Central Television went behind the scenes earlier this year. 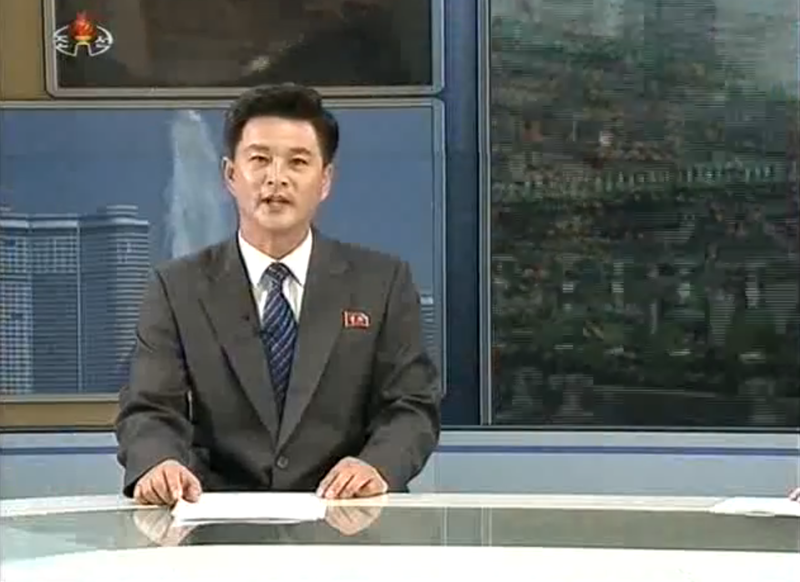 The new equipment probably makes at least some of the station high-definition capable, although there’s probably be a lot more work to be done before we see the first HD images from North Korea’s state TV.